New to town, Brent Bishop longs to stroll around school with the popular Brianna on his arm. But when Brianna begs him at a party full of schoolmates to stop hounding her, Brent's hopes are shattered. Trying to escape his humiliation, he attempts to destroy himself in a car crash -- and ends up killing Lea, an innocent teen unfortunate enough to cross his path. 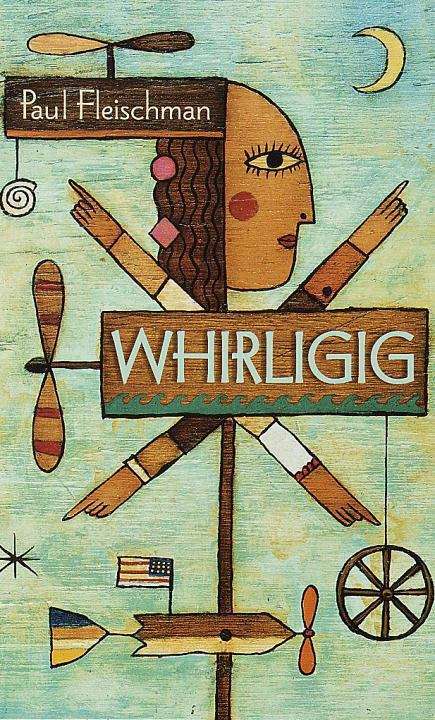 Lea's mother asks one thing of Brent: that he create four whirligigs from a picture of Lea and set them up at the four corners of the United States. Lea's mother believes that by spreading the joy that whirligigs gave Lea as a child, Brent will keep Lea's spirit alive. And so Brent goes off with an unlimited bus ticket and the tools he needs to memorialize Lea. On his journey, he rediscovers his own love of life, and he begins to realize how -- like the pieces that form the intricate whirligigs -- people come together to affect each other in surprising ways.